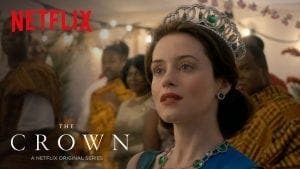 HIT Netflix series The Crown is set to begin filming in Andalucia. The period drama – which won a host of awards last year – chronicles the reign of Queen Elizabeth II and will begin filming its third series in southern Spain from October. The first casting call for extras took place in San Juan de Aznalfarach, Sevilla, earlier this month when more than 500 people turned up for the chance to be cast in crowd scenes. The region is thought to have been chosen because of its 1960s architecture which can be easily adapted to resemble key locations visited by the Monarch. This includes a conference centre in Torremolinos which has been selected for an airport scene. The new series will feature Broadchurch star Olivia Coleman.